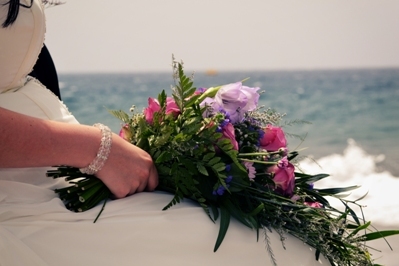 It was a fantastic sunny day for a beautiful destination wedding! 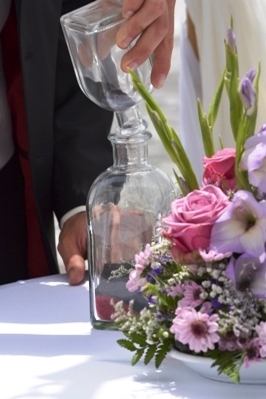 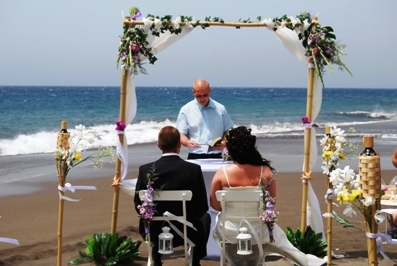 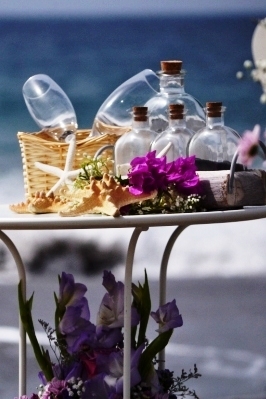 Tenerife is the perfect place to get married on a beach directly beside the Atlantic. 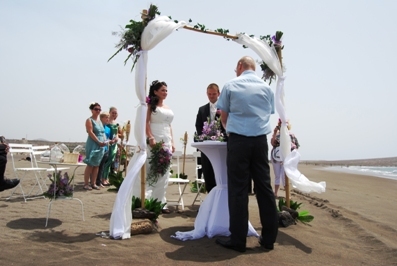 Getting married during a romantic beach ceremony was a very special occasion for the lovely bridal couple as well as for their friends and family! 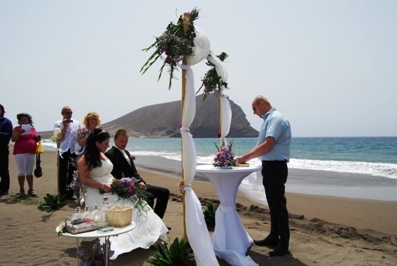 A stunning venue with colorful decoration organized by My Perfect Wedding! 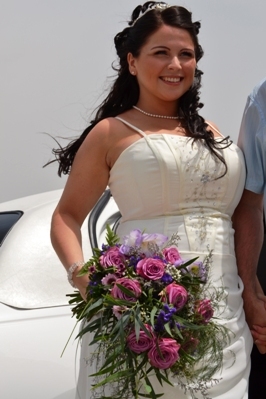 The bride and her father arrive at the beach with a luxurious limousine. 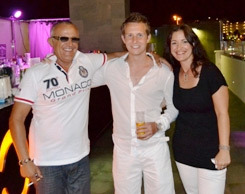 Both of them are being excited and they really enjoyed the exclusive transfer. 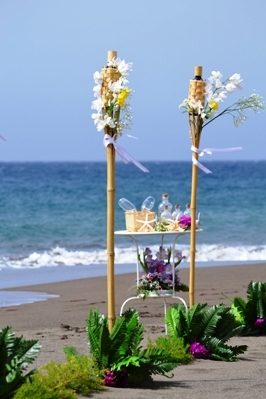 The father accompanies his daughter to the lovely decorated altar, where the groom is already waiting. 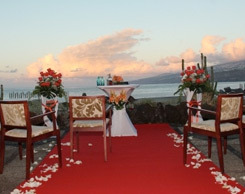 The couple and their guests are delighted with the set-up and wonderful view. 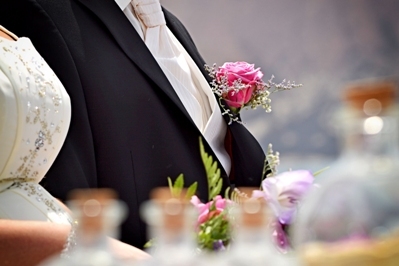 Romantic words of the bride’s dad! 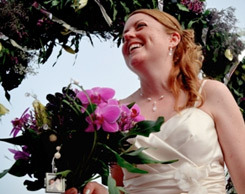 The lovers really likes the bouquet and the pin in their wedding colours, created by our florist! 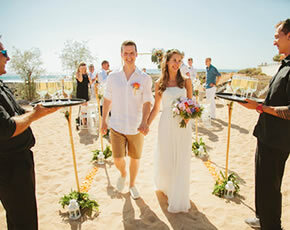 The sand ceremony and the traditional wedding kiss! 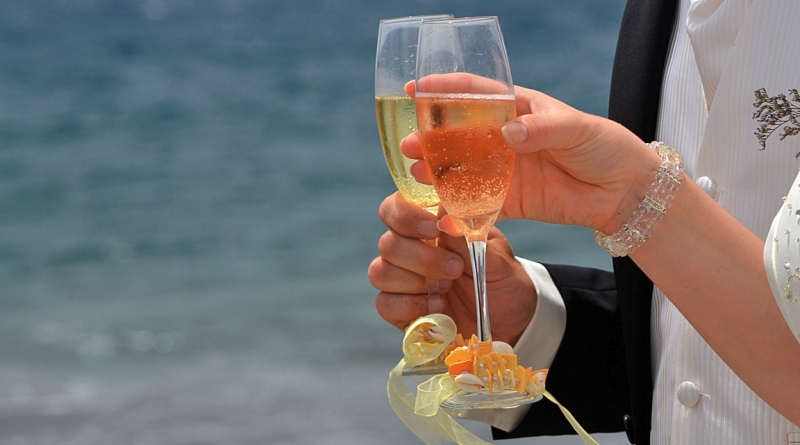 A toast to the wonderful bridal couple! 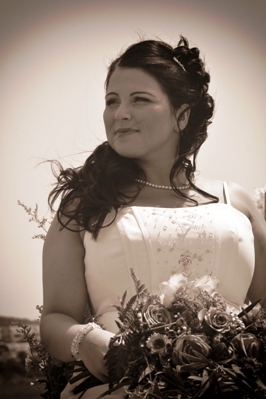 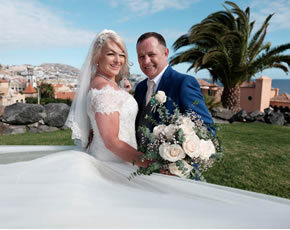 Our professional photographer captures the greatest moments of their wedding in Tenerife. 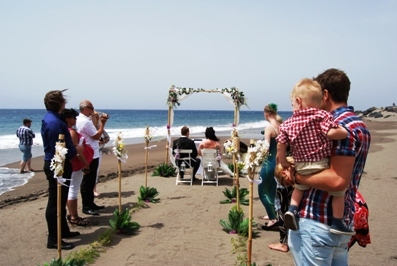 This beach in Canary Islands is fantastic for an amazing wedding photo shoot abroad. 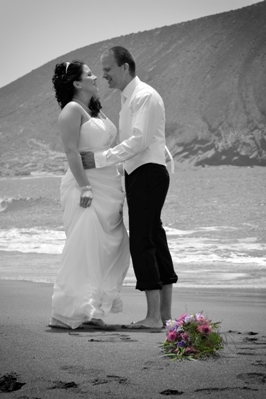 You can see and feel the joy at their fantastic wedding day with their feet in the sand and the blue sea. 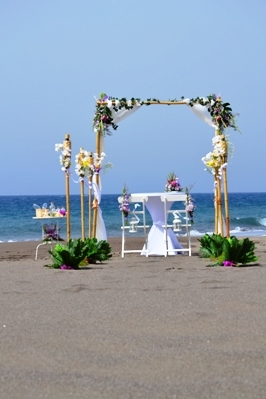 Drawing a heart in the sand shows the whole world how deep their feelings for each other are! 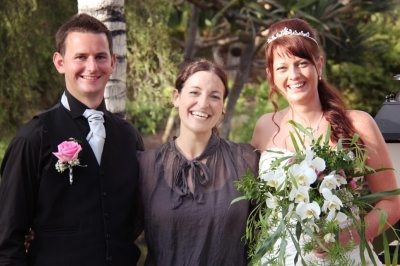 They will never forget this amazing trip to Tenerife and they had never imagined such a beautiful and romantic wedding day! 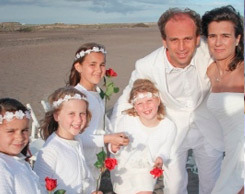 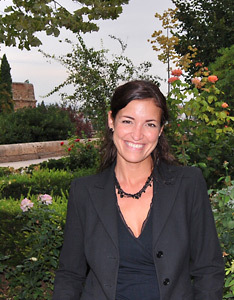 My perfect wedding and especially their wedding planner abroad, Nadine García Breuer, wishes them a bright future together and all the world’s luck!